In addition to his investigations practice, John is frequently called upon to brief and argue appeals in courts across the country. He co-chairs the firm’s Appeals and Strategic Issues Team and has argued appeals in the U.S. Courts of Appeals for the 2nd, 4th, 6th, 7th and 11th Circuits. He also routinely advises clients with matters pending before the U.S. Supreme Court and the Solicitor General’s Office. Prior to joining McGuireWoods, John served in positions of significant responsibility throughout the government. As associate counsel to the President of the United States, he represented the Office of the President in congressional investigations and other sensitive matters. His primary responsibility included handling issues arising out of the Department of Defense and State Department. In addition, he coordinated with the Department of Justice on litigation implicating the Office of the President. And as an assistant U.S. attorney for the Eastern District of Virginia, he tried cases ranging from fraud to violent crime and managed complex grand jury investigations involving fraud, public corruption and other matters. John served as a law clerk to U.S. Supreme Court Justice Clarence Thomas from 2006 to 2007 and to Judge David B. Sentelle of the U.S. Court of Appeals for the D.C. Circuit from 2003 to 2004. Prior to becoming an attorney, John served as a U.S. naval officer, deploying to the Persian Gulf. He led damage control operations on a Ticonderoga Class Cruiser and served as executive officer of a warship assigned to the Naval Special Warfare Command. John is a member of the McGuireWoods' Recruiting Committee. 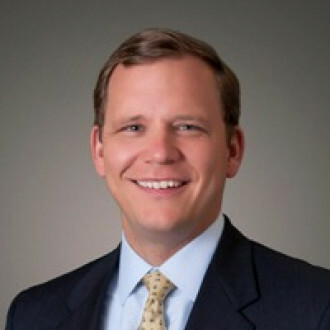 He previously served as an adjunct professor of appellate and trial advocacy at the University of Richmond T.C. Williams School of Law and he serves as a trustee on the Executive Committee of the VMI Foundation. Supreme Court Preview: What Is in Store for October Term 2018?